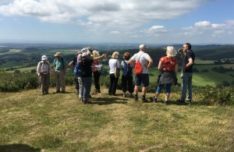 The Lower Wye Valley is stunning throughout the year, but particularly so in spring, and surely there is no better introduction to its landscape and heritage than to join one of the many walks on offer during the annual Chepstow Walking Festival. 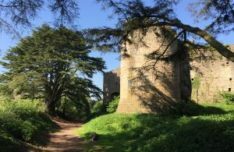 If you are interested in geology, history, wildlife, conservation or simply enjoy the experience of a walk in beautiful surroundings, then Chepstow Walking festival is for you. 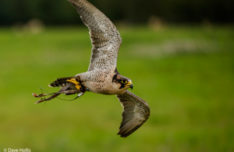 Get up close and personal to a variety of birds of prey, and find out about their role in medieval falconry. Find out about these fabulous birds, with falconry displays happening throughout the day. RossBeerfest is organised jointly by Ross on Wye Lions and Rotary Clubs with the support of many local volunteers for the benefit of the local community. This partnership, with the added support of the Ross Rowing Club, has proved to be a recipe for success. They love the jovial suggestion “drink beer or cider (or prosecco) for Charity!” and once again they will be sourcing local produce for visitors to try, with something that they hope will please every taste. The band ‘stage’ is the venue for local musicians, who perform throughout the two days of the festival. The music is as varied as the drinks, so once again something for everyone. They pride themselves on being a friendly festival, and have many visitors from near and far. This years show is to be held on Saturday 4th & Sunday 5th May down on the Vauxhall Fields in Monmouth, NP25 5BA. 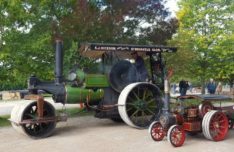 There is plenty to do for the whole family from a wide range of vintage vehicles, fair ground attractions and a variety of trade and craft stalls for everyone. 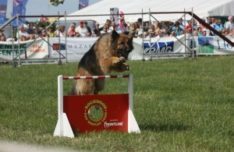 Also on Saturday is a collectable vintage Auction organised by G Richards (grichards.co.uk) and on Sunday there is a Fun Dog Show for all the family to take part in with a range of different classes to enter. You can enter on the day, however, if you would like any further details please email us. A great day out for the family, there are 3 stages with live music all day. Plenty of bars, food, stalls, a small fun fair for the kids, a giant Stay Puft marshmallow man from Ghostbusters, Paw Patrol and loads more! The headline act is UK Queen and all profits go to charities and good causes. Tickets on sale now £6 for adults, £4 for children. A weekend of all things Tudor. Learn, laugh and enjoy. This is the sixth Tudor weekend led by the Beaufort Companye and their esteemed friends from the Wars of the Roses Federation. 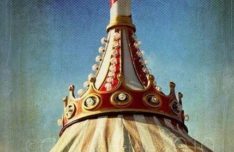 Living history displays, re-enactments plus plenty of Tudor themed fun make up this ever popular festival. Advance booking is recommended. Sir Topham Hatt says "Your ticket covers the whole day and there is nothing else to pay!" Story-telling trip all the way to Lydney Junction in Daisy the Diesel; Rides in Toad the brake van pulled by Thomas; Face painting, Bouncy Castles and Competition Quiz with prizes; The Imagination Station – with colouring pages, interactive story telling, table-top toys and regular magic shows; 'Day Out With Thomas' certificate for all children riding behind Thomas. The Devauden Festival, now in its 10th year, is a family friendly event set in the heart of Monmouthshire. 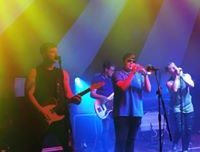 Running Friday night and all of Saturday, three stages feature a wide range of some of the best local talent from across South Wales and surrounding areas. One stage is located in the main building, conveniently close to the well stocked bar, serving a selection of real ales, cider and other drinks. There will also be a variety of food vendors, catering for all tastes. As well as the great music, food and drink, there is plenty to keep the younger visitors happy in the Kids' Zone. Activities include the ever-popular music workshops, circus skills tent, kids play area, kids crafts, face painting and plenty more. 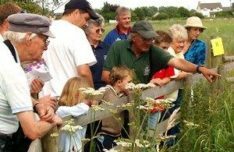 Join Living Levels to explore and record the biodiversity of Caldicot Castle and Country Park. Expert wildlife recorders and resources will be on hand to help with species identification, plus you will be able to learn how to use apps and websites to turn your sightings into records. Free entry. 20th May is World Bee Awareness Day, and in celebration Monmouthshire is organising Monmouth's fourth Bee Festival at Nelson Garden on Sunday 19th May 2019. Lots to interest both children and adults and tea and cakes too! Purchase bee friendly plants, seeds, honey and beeswax or see bees in action and meet others passionate about saving the bees. 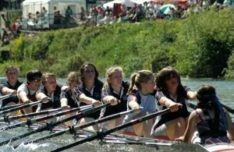 Go and enjoy this two day regatta on the beautiful River Wye. Offering racing for all ages as well as plenty for the spectators, including a BBQ and stocked bar. For the two days of the year Bailey Park in Abergavenny is redolent with the sounds, smells and sights of a bygone era. 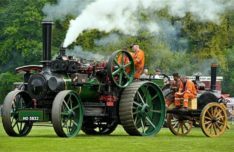 Mighty steam traction engines, resplendent in their colourful liveries, smoke belching from mighty boilers, the clank and hiss of steam are still the flagships of a fantastic day out within the Seven Hills of Abergavenny. There will also be Veteran, Vintage, Military & Civilian Vehicles. Look back with nostalgia to the days when Britain led the world in building vehicles. An extensive array of motorcycles continues the motoring theme. ‘Live on the Wye’ is a music festival with big ambitions, set against the stunning backdrop of the Wye Valley and bordering the beautiful Forest of Dean. Some artists have said it’s the prettiest festival they’ve played…and one of the few you can arrive to by canoe! The organisers pride themselves on attracting up and coming bands across all music genres from Wales and beyond. There’ll be real ales, locally sourced food, a fantastic programme for kids and an arts and crafts market, too. All proceeds go to the Redbrook Village Trust in support of village life. Llwyn Celyn is a Grade 1 listed medieval building. Once part of the Llanthony Priory estate it was built in the late 15th century. Llwyn Celyn sits on a hillside at the mouth of the Llanthony Valley, a few mile from the ruins of the priory. The valley has for centuries attracted poets, artists and romantics and witnessed the struggles between English and Welsh rule. 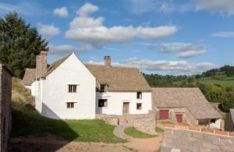 This Landmark Trust project has not just saved the site, but also tells its history - the story of the people who inhabited it during times of political upheaval and agricultural change. Access may be restricted to some parts of the site. Parking will be well signposted and there will be short walk uphill to the site – please wear sturdy footwear. 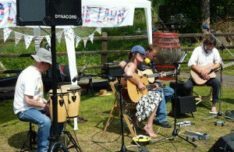 The annual 3-day Raglan music festival is held at many venues throughout the village, with children's music workshops as well as performances from choirs, brass bands, rock bands and cover artists. With the addition of a Street Party, this year's festival promises to be the best yet! 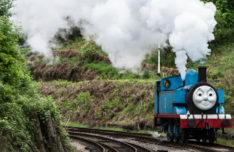 The Dean Forest Railway is proud to announce its 2019 series of steam gala events – ‘The Royal Forest of Steam’. You can expect to see an intensive service including freight – why not take a trip on the brake van for a unique view of the scenery, or to see the locomotive working hard at close quarters? The Railway is also excited to welcome BR Ivatt 2MT Tank no. 41312 to the Forest, courtesy of the Watercress Line. She will perform alongside the resident Prairie tank no. 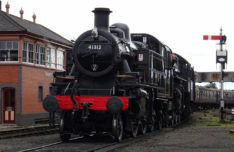 5541 and Austerity no. 152 ‘Rennes’. They also welcome BR 'Large Prairie' no. 5199 from the Llangollen Railway. Built in 1934, no. 5199 ended her British Rail career at Gloucester Horton Road in 1963 before being returned to working order in North Wales 40 years later. If that's not enough, for just £10, you can take control of a full-size steam locomotive at Norchard Low Level station! Further attractions include freight trains, double-headers, traction engine display and model railway display. Madness are coming to Chepstow Racecourse! The iconic group are set to play after racing on Saturday 8th June. Celebrate over 40 years of one Britain's best known bands as they perform live, including One Step Beyond, It Must Be Love and the number 1 hit House of Fun. So, as well as the great racing on the card from 6pm, Madness will take to the stage after racing at 9:15pm. Don't miss it! 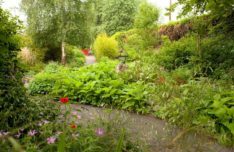 Around 20 private gardens will be open to visitors during the Usk Open Gardens weekend and the entry fees will be used to raise money for local charities. 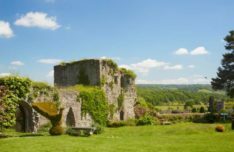 The gardens will range from small cottage gardens to the grand sweep of medieval Usk Castle. All are in walking distance of the free car parks and there is a regular mini-bus service around the town (10am - 4.45pm). You can buy your Garden Passport from one of the stalls in the Maryport St free car parks, or in Twyn Square. Children aged 14 and under are admitted free. Assistance dogs only in the gardens please unless individual garden owners give prior permission. The well-established Iron Mountain Sportif is on Saturday June 29 when riders, from beginners to the most experienced, can enjoy a day out riding some or all of the Route of Champions. There are also a host of activities taking place in Bailey Park. 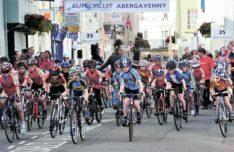 On the 30th there will be Cwmtillery Glass Monmouthshire Junior Grand Prix around the north of the county and hosted by the town of Grosmont. Bring a Picnic, a chair and enjoy some laid back jazz in the stunning setting of Usk Castle to conclude the Usk Open Gardens Weekend 2019. At its birth,17 years ago, the Festival concentrated on sculpture, but it has long since blossomed into a celebration of the arts showcasing talent from near and far. The Festival promotes the special place that is Caerleon – ancient “city” steeped in history, mystery and legend; Roman Fortress with Amphitheatre, Baths and Barracks; site of medieval castle where Owain Glyndwr raised his standard; King Arthur’s Camelot perhaps; set on the banks of the River Usk whose mighty tidal ebb and flow inspired Alfred Lord Tennyson. The Festival Team is improving the gateway to Caerleon transforming wasteland to wild flower meadow – the Festival Field/Gateway Meadow beneath the fortress wall. Dating back to the late 17th Century, the Monmouthshire Show now welcomes in the region of 20,000 visitors each year, all coming to enjoy a taste of farming and the countryside at the stunning showground on the banks of the River Wye just outside Monmouth. 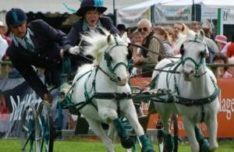 An outstanding Grand Parade of British livestock and horses is the highlight of a day packed with the thrills and spills of main ring entertainment. Food, farming and a wide range of rural interests are all on offer, and whether a regular, or a first-time visitor, you’ll be sure of a warm welcome. 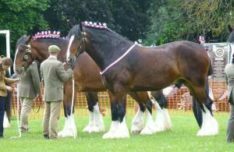 Meet the gentle giants and most magnificent British Heavy Horse: the Shire Horse, at their best, at the annual show held at Bailey Park, Abergavenny. Come and see our cheeky, yet most loved Miniature Horses. A show suitable for all the family. Get up close and personal with the gentle giants and Miniature Horses of our world. Dogs are welcome but must be kept on leads! Come rain or shine the annual Folk Festival at Abbey Mill, Tintern will entertain you with star guests from local to around the world. Mini Beer and Cider Festival Tent along with hot and cold food will be served all day. Amazingly for such a small festival it has featured a number of international artists and signed bands, in addition to the Welsh, English and very local talent that has graced its stages. A festival to celebrate all things about the Gwent Levels. Spend some time in the relaxing natural surroundings with plenty of activities to entertain old and young alike. There’ll be music, dancing, singing and a large dose of laughter at an event like no other that has been held at Magor Marsh. There will be plenty of time to explore bugs, watch birds, wander through the meadow flowers and make something beautiful. You’ll also be able to buy unique crafts and gifts from local artisans. 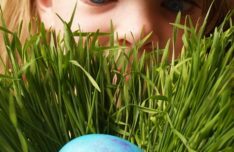 Wear long sleeves and trousers because you may be exploring in the long grass! Refreshments available in the Centre. Parking restricted so please use available parking in Magor village if possible. Situated in the beautiful historic Welsh border town Monmouth Festival is a nine day, free music festival. Throughout its 36 years the Festival has got bigger and better and includes Monmouth Festival Unplugged, a Family Fun Day and Fringe. Music is the very essence of Monmouth Festival. It showcases an eclectic mix of iconic legends, local artists and up and coming young talent, dance, classical, country, folk, jazz, pop, rock’n roll, ska, world music and so much more. 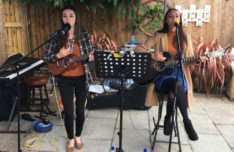 Their aim is to enable everyone to enjoy a live music performance whether it is in the open air, in a church or pub; whether it is an old favourite, new or local talent, there is something to please everyone. 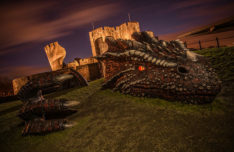 Fancy getting up close to a real Welsh dragon? Well, you’re in luck — a colossal dragon is embarking on a grand tour this summer. The beast will make appearances at castles all over Wales and will be at Chepstow Castle from the 1st August. The famous creature, measuring four metres in length and two metres wide, has reptile-like black and red scales, flaring nostrils that fire smoke, and an outreached claw ready to capture passers-by. Go and meet the beast - if you dare! . No booking required. The dragon will be available to see until 5pm on 14 August before it continues its journey. 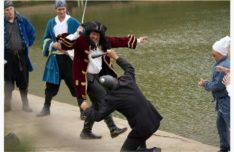 An unfortunate case of mishearing initiates the plot for The Pirates of Penzance, resulting in a dramatic change of direction for Frederic who sets course to become a pirate rather than a ‘pilot’! The twists and turns of this classic operetta unfold with ingenious characters, sublime lyrics and some of the best-known songs in opera. The performance takes place outdoors alongside the mill pond at the Dean Heritage Centre. Please come prepared for possible inclement weather. 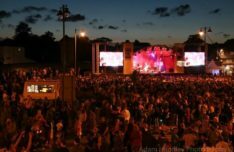 Held over four days in August at Ashton Court Estate, the event is completely free with charges made for parking on the event site. 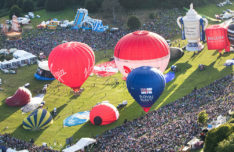 Alongside the fantastic site of hot air balloons filling the skies, there is a large number of great trade stands, fairground rides and entertainment. 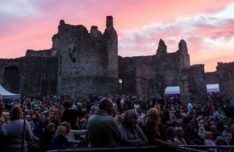 Join the music festival with a difference, with over two weeks of fantastic acts in the beautiful surroundings of Chepstow Castle. From funk to country music, rock to pop, it's a show not to miss. 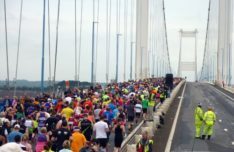 The Severn Bridge Half Marathon returns after five very successful and highly acclaimed events. The race has been voted Best New Race in the Runners World Personal Best awards. The event starts on the Western (Chepstow) end of the Severn Bridge on the motorway itself and after crossing the bridge and back finishes in the event HQ below J2 of the M48, right next to the car park.Trophies and prizes for the Half Marathon will be awarded! 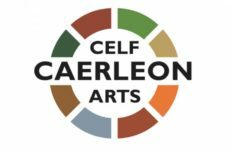 Art in Penallt is a three day event, featuring local and international artists and makers, including Fine Art, Sculpture, Wood, Photography, Glass, Ceramics & Jewellery. 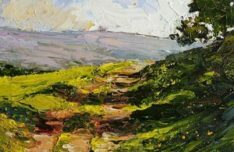 After some years in the heart of the village, in 2019 Art in Penallt moves to Humble by Nature on the edge of Penallt. The exhibition will run from Friday 30th August to Sunday 1st September with a Preview on the evening of Thursday 29th August. All details can be found on the Programme page. Every year since 1844, Usk Farmers’ Club has held the Usk Show to celebrate the very best of Monmouthshire farming and rural life. It is now one of the biggest One-Day Agricultural Shows in the UK. The Show comprises 11 different Sections each holding their own competitions. 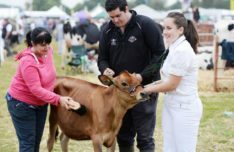 Cattle, Sheep and Pigs compete in the Agricultural Livestock Section and there is a thriving Horse Show and Show Jumping Competitions, as well as Goats, Poultry, Rabbits, Horticulture, Homecrafts, a Companion Dog Show, Steam Corner and Vintage Tractors. There is also a wonderful timetable of events in the main ring. 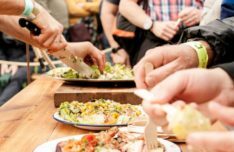 Abergavenny Food Festival enjoys an exceptional reputation as a place for chefs, food businesses, journalists, farmers and food producers to come together. Through a programme of activities, including product tastings, kids’ activities, masterclasses, hands-on cookery lessons and topical debates, you can find the inside track on food issues, new ideas about the future of our food and meet the rising stars of the industry. Perrygrove Railway are putting on an action packed weekend with an intensive train timetable and lots of engines in use, including a visitor or two! 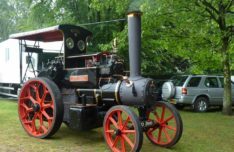 There will be a working display area of steam traction equipment. They will also have steam driven saw benches, stone crushing and road rolling and a display of vintage vehicles and equipment, there will be trailer rides as well. It's their biggest event of the year! Normal entrance fee applies, no need to book in advance. Open from 10.30am-5pm. 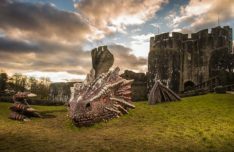 Fancy getting up close to a real Welsh dragon? Well, you’re in luck — a colossal dragon is embarking on a grand tour this summer. 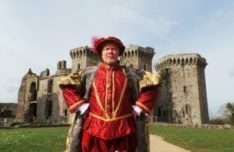 The beast will make appearances at castles all over Wales and will be at Raglan Castle from the 27th September. The famous creature, measuring four metres in length and two metres wide, has reptile-like black and red scales, flaring nostrils that fire smoke, and an outreached claw ready to capture passers-by. Go and meet the beast - if you dare! Doors open at 9:30am and as long as the Fat Controller Sir Topham Hatt is able to wake up Thomas, you can start a fun packed day. Advance booking is recommended. Sir Topham Hatt says "Your ticket covers the whole day and there is nothing else to pay!" This Autumn Half Marathon is run in the Forest of Dean at the end of September. 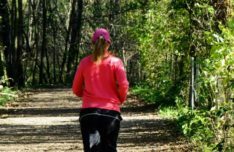 This race follows a forest trails course with no road crossings. It has some interesting hill challenges and offers a chance to experience the Forest with its late-summer leaf canopy. This annual event is organised by The Rotary Club of the Royal Forest of Dean and supported by the Forestry Commission. Proceeds are used to support charities, both locally and nationally. Get on board at the Dean Forest Railway to discover Who? What? And Where? When the remains of a body are discovered in the cellar of the Black estate it transpires that the victim could only have been killed by one of six people in one of six locations by one of six weapons. Was the local vicar green with envy? Was a movie star seeing red? Or was a local dignitary feeling blue?  Get your little grey cells working and see if you can discover the true colours of your suspects and solve this crime. Remember not everything is always a black and white as it seems in the game of murder. Your evening starts with a canape reception in Whistles Cafe at 18:00, before travelling in style on board our steam train, with a two-course meal served on board while you crack the case! The evening will conclude at approximately 21:00. The UK Choir Festival was launched in 2016, to support, train and bring together choirs from all over the UK in beautiful settings where people can learn, develop and thrive. Created and produced by Russell Scott, the festival is designed for choirs of all abilities, ages and styles. It is now expanding across the UK and are thrilled to have choirs outside of the UK taking part, therefore creating a global community. 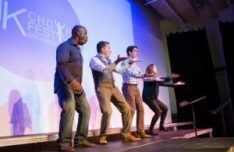 The UK Choir Festival is unique and is produced to give choirs the opportunity to be taught by some of the best workshop leaders in the UK. It promises to be exciting, informative and collaborative with each day culminating in an opportunity for each choir to perform on stage.